The Dinmore (224-228 Park), Orleton Court (8 Edgewood), and Eton Hall (10 Edgewood) comprise this four-story brick apartment house at the corner of Park Street and Edgewood Avenue. Situated across the street from Pierson and Davenport Colleges, these central campus area apartments are one block from the Chapel Street and Broadway shopping districts. 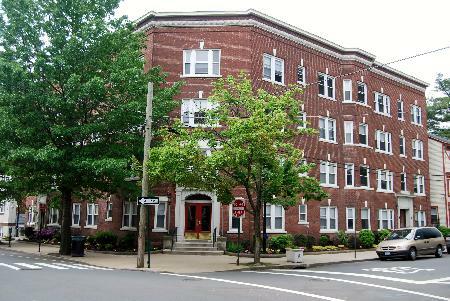 The rent includes heat and hot water, with tenants separately responsible for electricity. There is a laundry room for residents located in the basement. (c) 2016 Elm Campus Partners, LLC. All rights reserved.